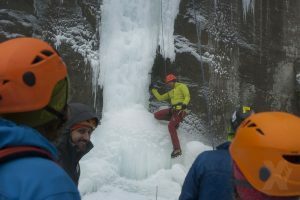 Ice Climbing clinics for the 2018 Sandstone Ice Festival are now open for registration. 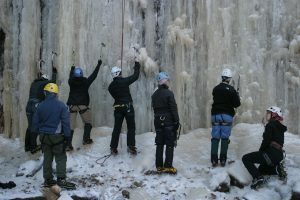 All proceeds from the fees charged for the climbing classes are used for improvements to the Sandstone Ice Park and other Minnesota climbing areas. This year clinic fees have been raised to $50 per clinic. This increase in fee is mainly to cover insurance which is the biggest expense for the festival.